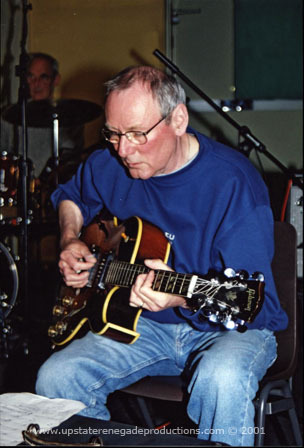 Wishing Well; Derry Musician & Artist's CD for Foyle Hospice Day Care Unit Appeal (ongoing). This CD was the origins of; Upstate Renegade Productions ©. The Wishing Well CD is a 12 track disc of original works by many of Derry / Londonderry's artists, musicians and poets, produced by Louis P. Burns - Upstate Renegade Productions and was launched in Sandino's Bar on the 4th October 2001. It includes 2 versions of my song; Cool. One performed by Aisling Doherty with the Gay McIntyre Jazz Quartet*, and one performed by Terence Morrison with the Gay McIntyre Jazz Quartet**. 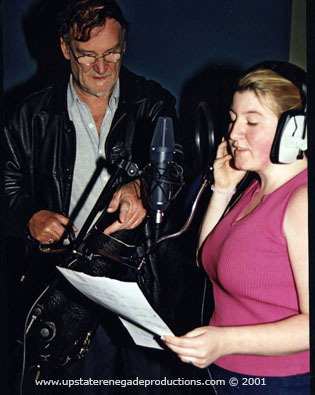 Other recording artists on the Wishing Well CD include; Eamonn Toland, Jim Walker and Sam Starrett. The entire project was a cross community success story and can be bought directly from Foyle Hospice for £11.99 + Postage & Packaging. 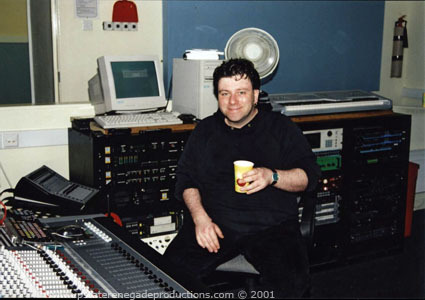 [url=http://www.upstaterenegadeproductions.com/music/Cool-Louis.%20P.%20Burns%20aka%20Lugh%20performed%20by%20Aisling%20Doherty%20and%20The%20Gay%20McIntyre%20Quart.mp3]* COOL - A song by Louis P. Burns aka Lugh / Upstate Renegade Productions ©. All Rights Reserved. Photograph by Joseph P. Burns for Upstate Renegade Productions © 2001. 1st version of COOL © Upstate Renegade productions 2001. All rights reserved. * COOL - A song by Louis P. Burns aka Lugh / Upstate Renegade Productions ©. All Rights Reserved. 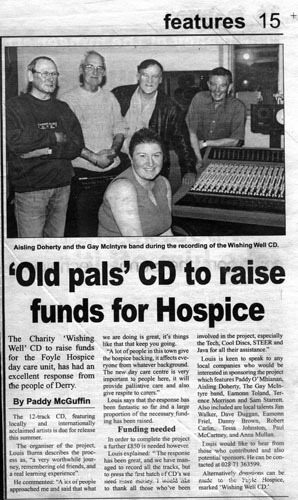 Derry Musician's & Artist's CD for Foyle Hospice 2001.
in-kind for the Wishing Well CD production.